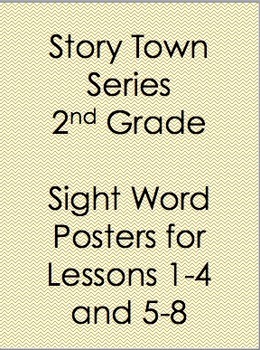 Here are the sight word posters for 2nd Grade for the Story Town Series. It includes lesson 1-4 and 6-8. I will add more as I create them this year to TPT.